Chop the cherries, dice the onion and jalapeno, mince the cilantro and juice one lime. Mix all ingredients and add salt and pepper to taste. Top with the cherry salsa. 202 members have added this recipe to their cookbook. I know it's my recipe but I even got my fast food loving boyfriend to love this recipe. 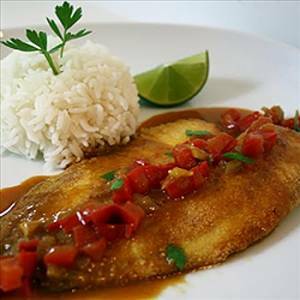 There are 184 calories in 1 serving of Tilapia with Cherry Salsa. Calorie break-down: 17% fat, 56% carbs, 27% protein.